Again, one of those iconic, but hard-to-get-right parts of the costume. Mainly due to the camouflage pattern; It has no real world equivalent, it was never made for anything other than the film Aliens. The fabric for those used in the film was printed by a textile company in London in the 80’s. It’s highly likely that they only had a single roll (or however much) and it was never printed again. 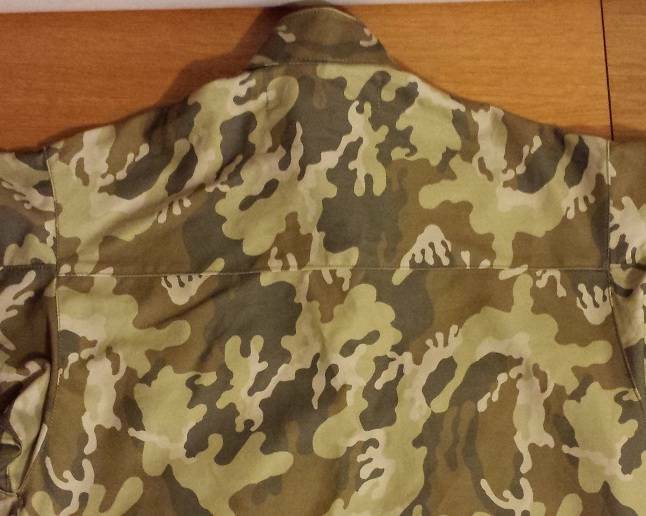 It’s sometimes referred to as ‘frog leaf’ pattern, loosely based on 1940’s US pacific theatre operations. 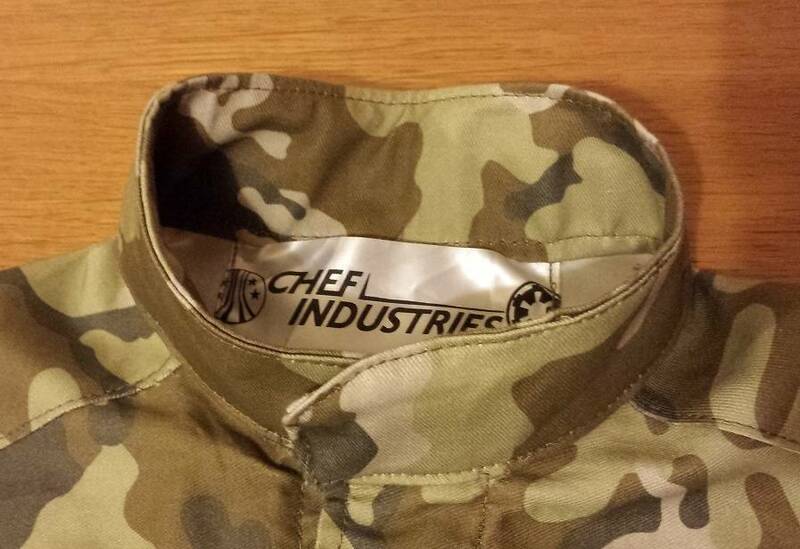 This means that all COLONIAL MARINE USCM clothing is printed onto sheet and the clothing constructed by hand. Needless to say this takes a lot of time (and money). We were also allowed to study Harry’s set of ‘Screen Used’ Colonial Marine USCM BDUs to ensure ours were the same in detail. Needless to say we’ve recreated every pocket, seam and button in detail to try and recreate the screen used originals as best we can. I would like to think that these are currently the most accurate set of USCM Colonial Marine BDUs in production anywhere in the world. I don’t claim that they are… I just would like to think so. In some areas, seams have been reinforced beyond the screen used items for longevity. 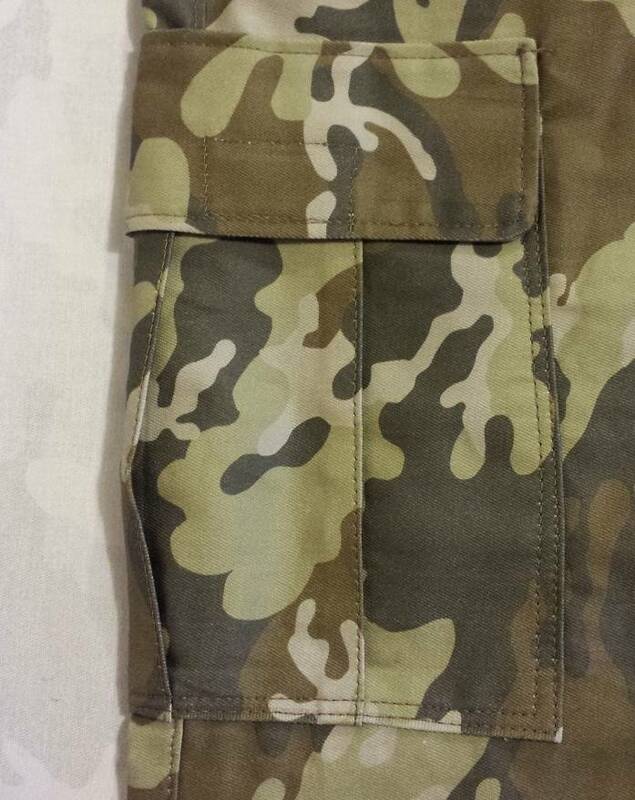 They come with Mandarin style collars, functioning pockets (bloused where applicable). Made with heavy weight (255gsm) cotton drill material, sewn with strong thread. 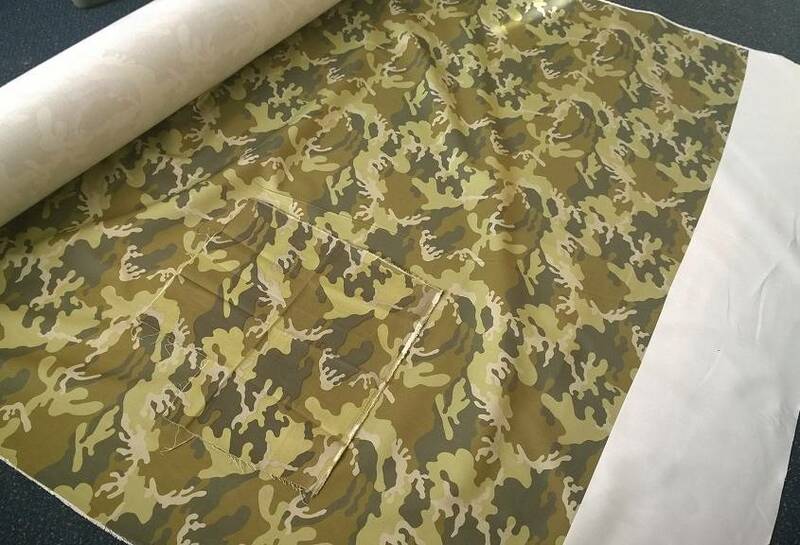 The fabric is professionally digitally printed by a reputable UK company that also supplies the British Army with its fabric. 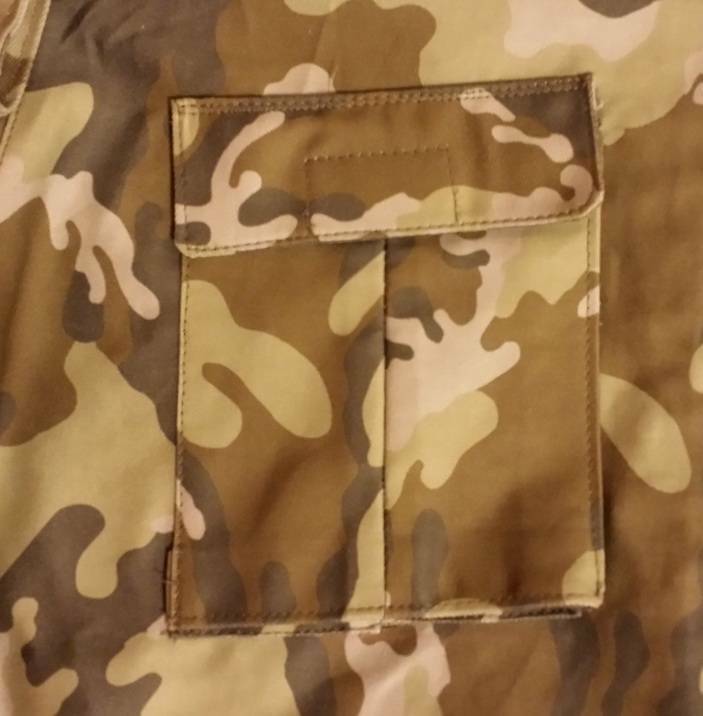 BDUs CAN NOW come with patches. 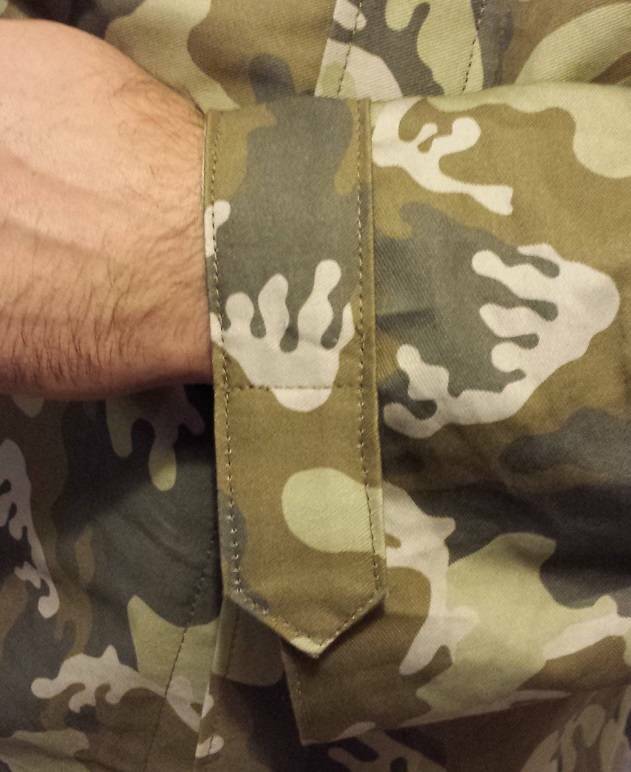 ALL of our BDUs now come FULLY TAILORED. There is no additional cost for this service and all sizes are catered for at the same cost, including XL sizes and above. These BDUs are available separately or as a set. NOTE: It is advised that you measure yourself correctly prior to ordering, as sizes will be supplied by your measurements. DO NOT RELY on the sizes in your clothing, as this is not necessarily a good indication of your exact sizes. 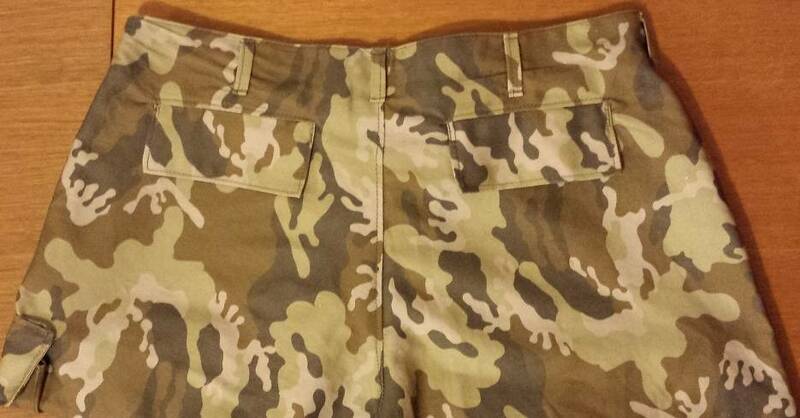 We cannot be held responsible for ill fitting garments, if they conform to the sizes as supplied to us. A re-tailoring charge may be incurred for any alterations that occur as a result of incorrect sizing. If you require extra length in the arms/back and legs, please specify and we will accommodate this. They will be supplied a little on the large side, this is to account for any material shrinkage during the initial washing period. This is perfectly normal. Please note that these items are made with ‘unshrunk’ cotton, so pay special attention to the washing instructions on the label – COOL WASH – NO TUMBLE DRY. We cannot be held responsible for shrunk items because your mother hasn’t bothered to read the label! Please be advised, these are made to order and as such there will be a lead time on their production. OPTION D – Trousers and Shirt with printed patches and name tapes – £350 + shipping. 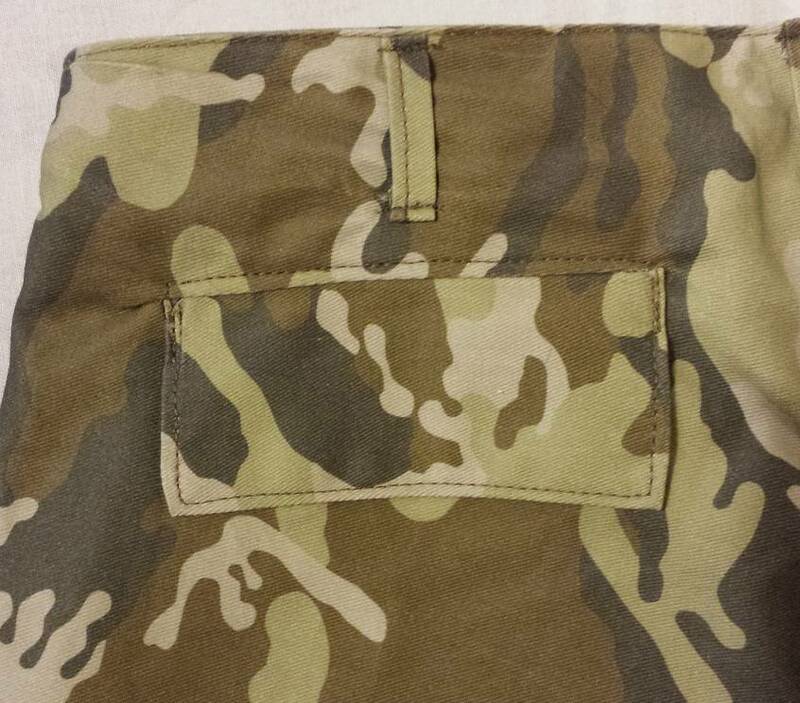 This is where every other Colonial Marine BDU falls down in terms of accuracy. 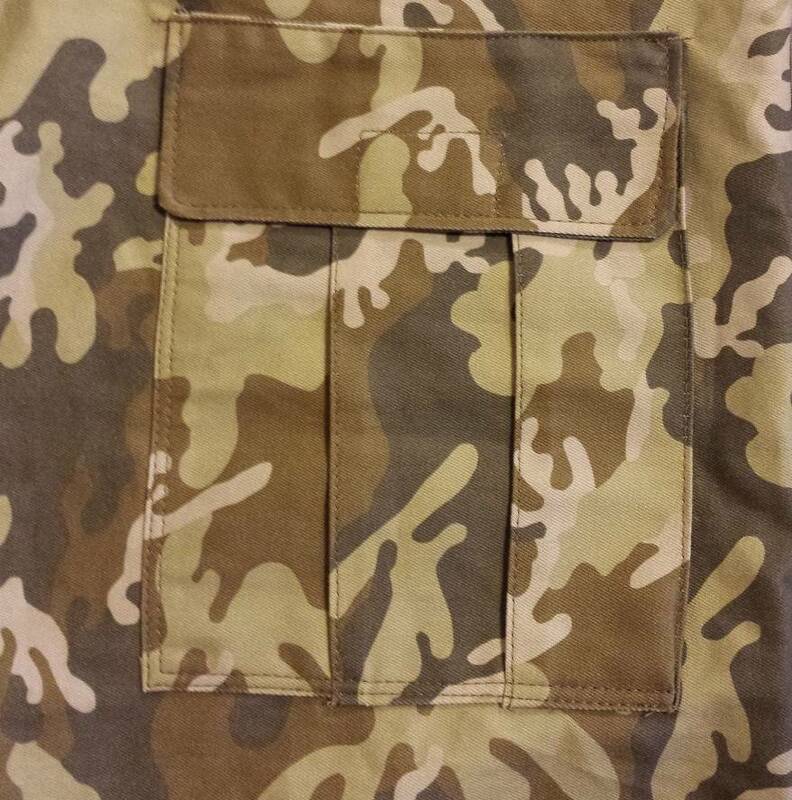 Note the correct orientation of the pocket blousing.